The eighth annual Fundraiser for Elks National Foundation trip will go to Riviera Maya, a 112 mile stretch of paradise along the coastline of the Yucatan Peninsula south of Cancun, Mexico, known for its unspoiled beaches, turquoise waters, tropical jungles, and Mayan ruins. 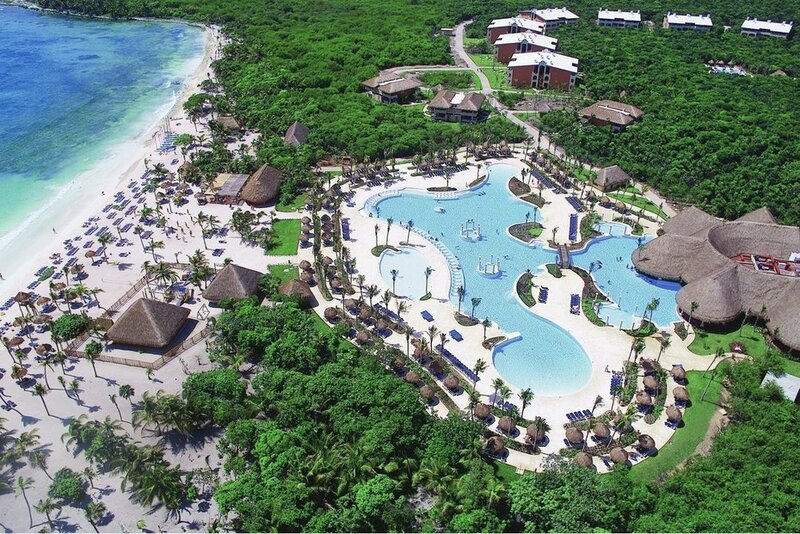 The Grand Palladium Colonial Resort & Spa is situated near the southern end of Riviera Maya. Rated 5 Golden Apples by Apple Vacations, this resort is all-inclusive, offering 24-hour food and beverage service, all meals and snacks, and access to 14 restaurants, 25 bars, and seven pools throughout the complex. Also included are nightly entertainment, disco, six tennis courts, non-motorized watersports, spa, and much more! Free basic Wi-Fi access is available after registering in Palladium Hotel Group’s network. All rooms are air-conditioned and feature two double beds or one king bed, and terrace or balcony. This all-inclusive, deluxe vacation is available from Apple Vacations and includes non-stop roundtrip airfare from Pittsburgh (PIT) or Philadelphia (PHL) airports. The rates below are per person, based on double occupancy (call for single or triple rate) and include taxes, government fees, gratuities, and transfers in Mexico. These Apple Vacations group rates are time sensitive. A deposit of $100.00 per person is required to reserve space. It is necessary to make your deposit as soon as possible to guarantee this rate. Apple Vacations’ cancel-any-reason trip insurance is available for $104.99 (receive a future travel voucher) or $134.99 (full refund less insurance cost) per person additional. The deposit amount including insurance is $204.99 or $234.99 per person. Insurance must be purchased at time of deposit and is non-refundable. A VALID PASSPORT is required for travel to Mexico. Boarding will be denied without proper documentation. Final payment is due to Antietam Travel Service, Inc., by November 21, 2018. Travel insurance is highly recommended. Apple Vacations’ cancel-any-reason trip insurance, if desired, must be paid with deposit at a cost of $104.99 per person for a future travel voucher or $134.99 per person for a full refund. Insurance cost is non-refundable. Tour penalties begin October 12, 2018. Space is very limited at these group rates so book early. Please contact Linda Cleveland at 301-662-8080 or 800-722-3489 for more information. *Prices and itineraries are subject to change without notice.